While there are a handful of underground dining clubs in Chicago, Liquor Lab is an underground cocktail club for members only. I had the chance to grab a glimpse of the secret society at a recent event. 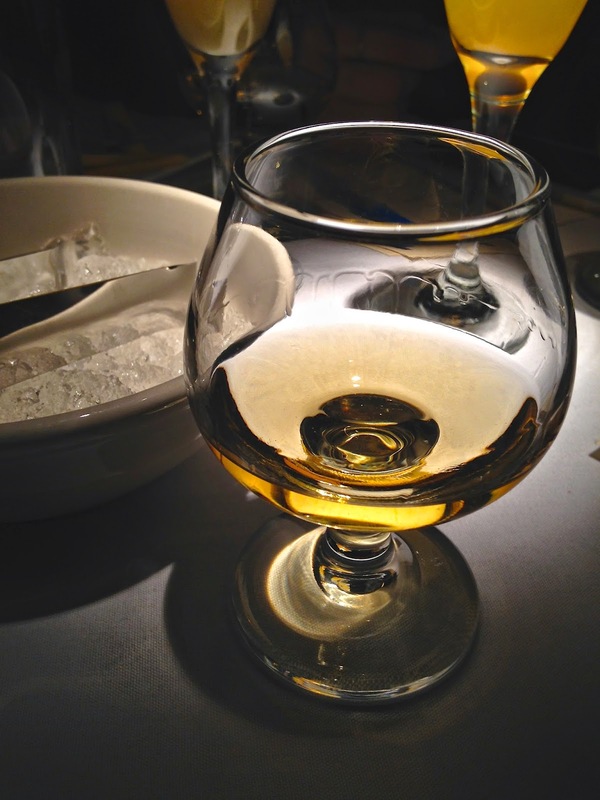 Liquor Lab members pay a yearly membership and can attend bi-monthly events across the city. Each members-only event has a specific focus and features a mixologist or bartender from a local venue. Each event is individually ticketed and capacity is capped at 60-80 people. Venues change every event and are only disclosed to members one week in advance. 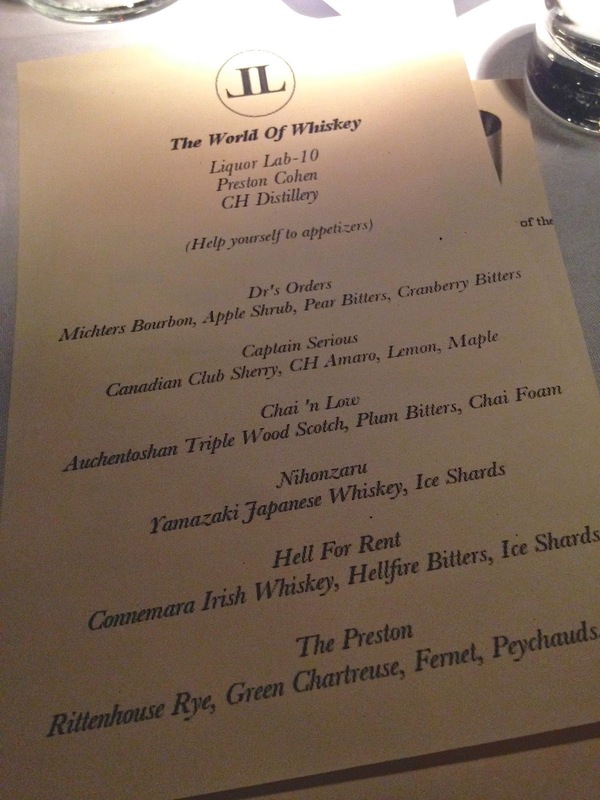 The event I attended, titled "World of Whiskey,"featured Whiskey-based cocktails created by Preston Cohen from CH Distillery. The event was held in a private space at West Loop's Vivo. Preston crafted a menu featuring six whiskey cocktails using a variety of spirits. He said this task was especially challenging for him as he's typically used to crafting cocktails using only CH Distillery spirits. Each of the six cocktails were coursed out over three hours which was nice considering these drinks were quite strong! We started things off with a sweeter cocktail featuring Michters bourbon, apple shrub, and homemade pear and cranberry bitters. Next was Captain Serious, named after Chicago Blackhawks captain Jonathan Toews. 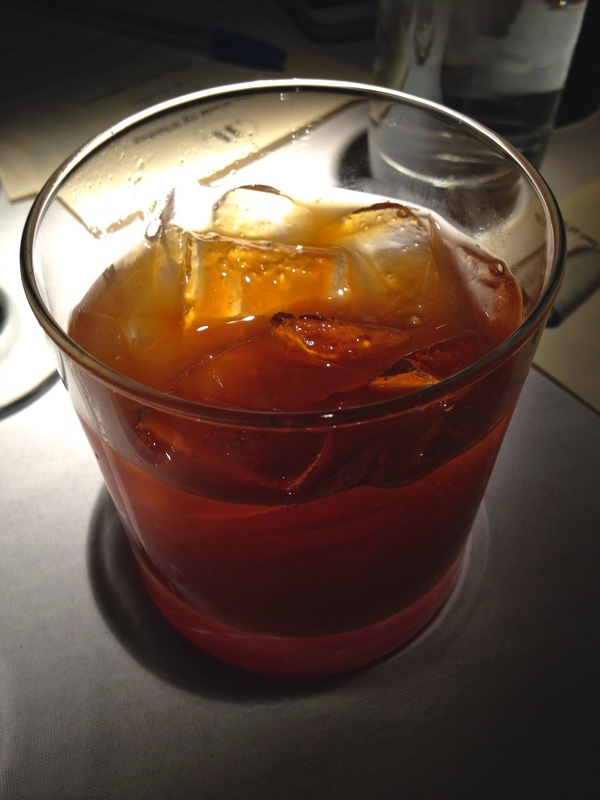 This potent potable featured Canadian Club sherry, CH amaro, lemon, and maple syrup. It was very lemon forward but also had a nice sweetness from the maple syrup. The drinks only got stronger... 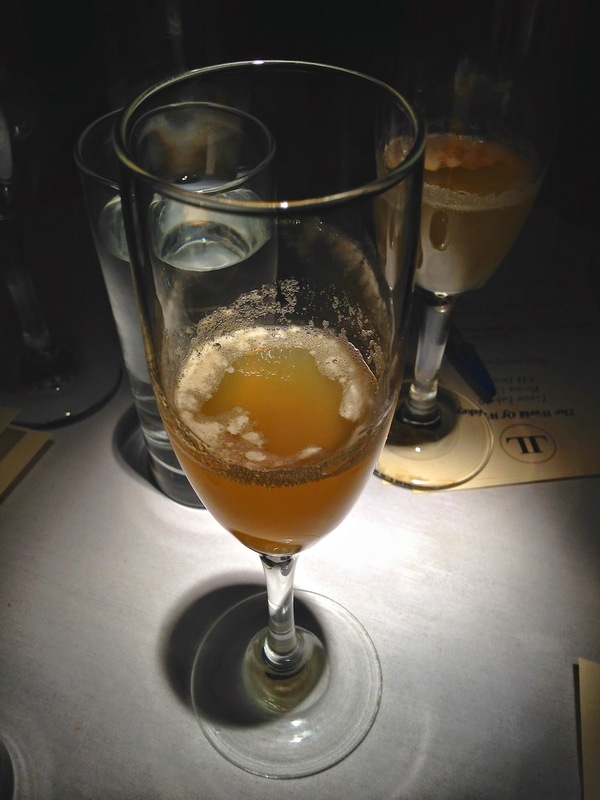 The Chai 'n Low included Auchentoshan Triple Wood Scotch, plum bitters, and chai foam. You could see little bits of the chai foam floating on top. For course number four, things got really serious. We're talking Japanese whiskey. The whiskey was served straight up with a bowl of ice shards on the side if you wanted to make it on the rocks (or on the shards!). First I tried the whiskey straight but then had to sprinkle some ice in there. I really enjoyed it though. It was the perfect drink for the cold and snowy Saturday night. This course was named Nihonzaru, named after a Japanese monkey (yes, I had to Google that). The most creative cocktail award definitely goes to Hell for Rent, a concoction of Connemara Irish whiskey and Hellfire bitters, served in a hollowed bell pepper. 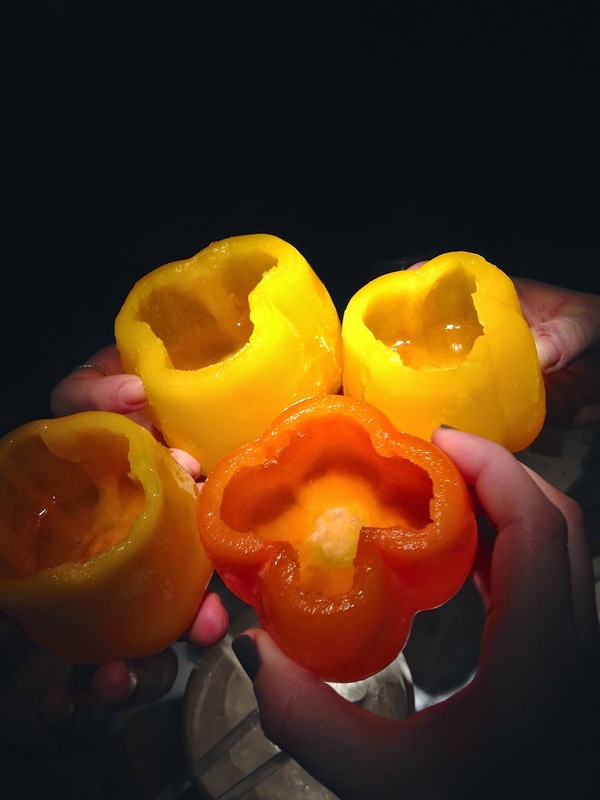 Can we make bell pepper glassware a thing? The aroma from the pepper actually worked nicely with the cocktail. We also were encouraged to add ice shards to this drink (I did). This ended up being my favorite drink of the night. Our last cocktail had no room for modesty. 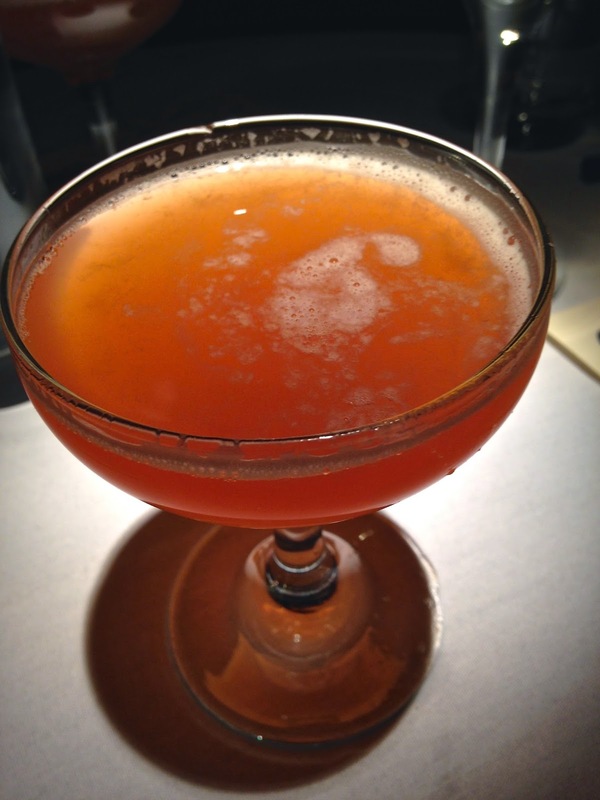 It was "The Preston," named after guest bartender Preston Cohen. Probably the strongest drink of the night (I mean, they all were pretty strong), it featured Rittenhouse rye, green Chartreuse, Fernet, and Peychaud's bitters. If you're interested in learning more about becoming a Liquor Lab member and attending a future event, check out Liquor Lab's website for FAQs and more! I've partnered with the kind folks at Liquor Lab to give away one 1-year membership to Liquor Lab (total value: $175). Enter below for your chance to win! You have until 12 AM (midnight) CST on Thursday, March 12th to enter. The winner will be randomly selected and notified Thursday, March 12th. Good luck! Note: my Liquor Lab experience was complimentary; however, all opinions expressed herein are my own.